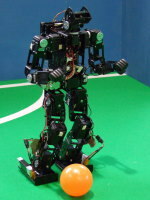 Small size (KID size) humanoid robot | Hajime Research Institute, Ltd.
High performance humanoid robot is used as a platform for autonomous humanoid robot (biped robot). 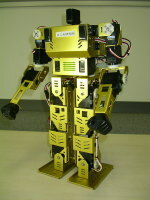 The mainstream of the small size robot is now “HAJIME ROBOT 46(HAJIME ROBOT 42)” and “HAJIME ROBOT 49(HAJIME ROBOT 30)”. 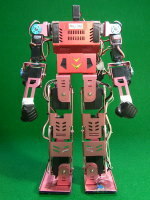 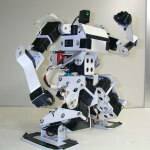 The actuator of HAJIME ROBOT 46(HAJIME ROBOT 42) is the servo motor made by Futaba. 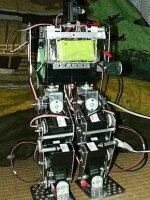 The actuator of HAJIME ROBOT 49(HAJIME ROBOT 30) is the servo motor made by Robotis. 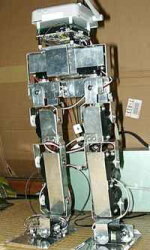 A standard serial link mechanism in the legs is adopted. 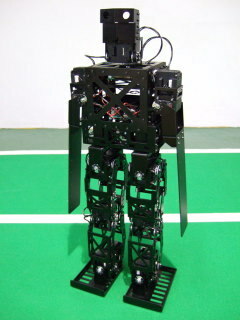 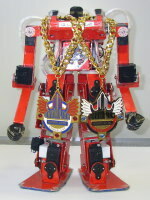 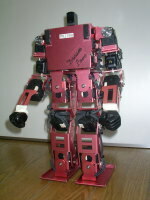 We sell a platform kit for RoboCup humanoid league Kid size. 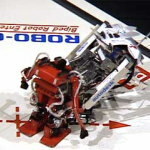 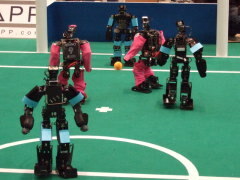 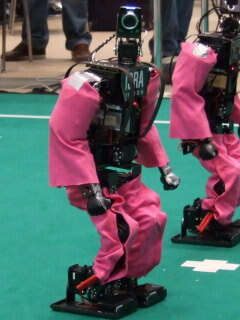 The users won at the international robot soccer contest “RoboCup”.